Rita Wilson knows how to stun! 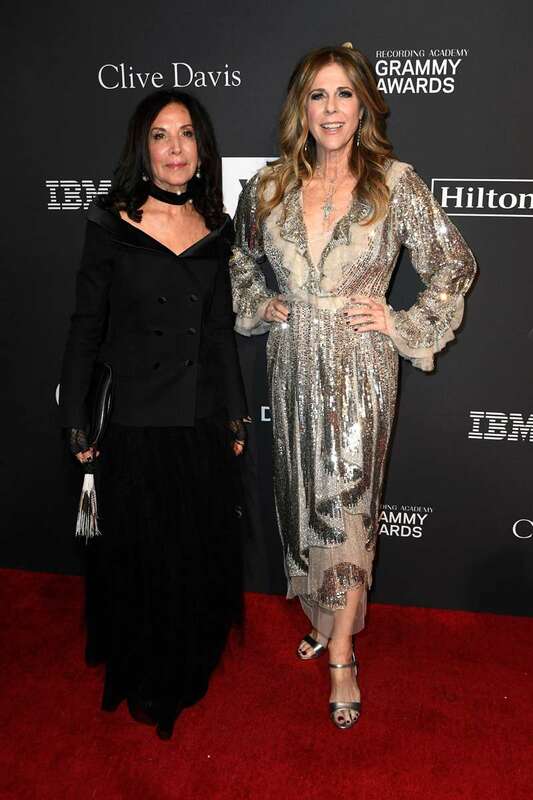 The 62-year-old actress/singer showed off her elegant taste at the MusiCares Person of the Year event honoring Dolly Parton on February 8. Wilson looked glowing on the red carpet, wearing a long coral dress and a brilliant smile! It was a busy week for Wilson, as she attended the pre-Grammy Gala the next day, donning a silver sequin dress. She looked as radiant as she did the day before, without a hint of tiredness. Wilson’s outfits perfectly emphasize her youthful look and attitude, and she once shared how she finds the balance between dressing her age and looking young. Whenever I'm reading "Fabulous at Every Age," I find I'm always attracted to what the 30- and 40-year-olds are wearing. I think there are styles that cross over from one decade to the next. But I don't ever want to feel like something is just off. You have to have a little voice in your head that says, "Maybe not that dress" or "Maybe not that outfit." Like her famous husband Tom Hanks, Wilson doesn’t plan on retiring any time soon. In September, she released a new album, Bigger Picture, and she's currently touring the country. In a way, when you look at the music you’re putting together, it was a little bit like going back to a scrapbook and seeing who you were at a certain point in time. Way to go, Rita! Your art and style is such an inspiration.